The crawl will begin at the Airliner and ending at Joe's just in time for the City/West Mixer. Come along for the crawl and get a couple under your belt before having to be officially social! There will be plenty of time and opportunity to grab food along the way. No charge, except for your drinks. Official 1978 Bar Crawl T-Shirts provided! Please RSVP with a T-shirt size. 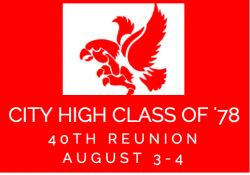 Join us on Friday night for some great food, drink, and visiting your good friends from the past and present from both West and City High Classes of 1978! Please register for this event under the "Event Registration" link. There is no charge for this tour. Join us for brunch (on your own) at the nostalgic IRP! 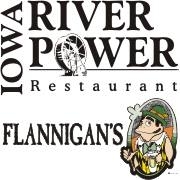 Best brunch in Coralville, IA!